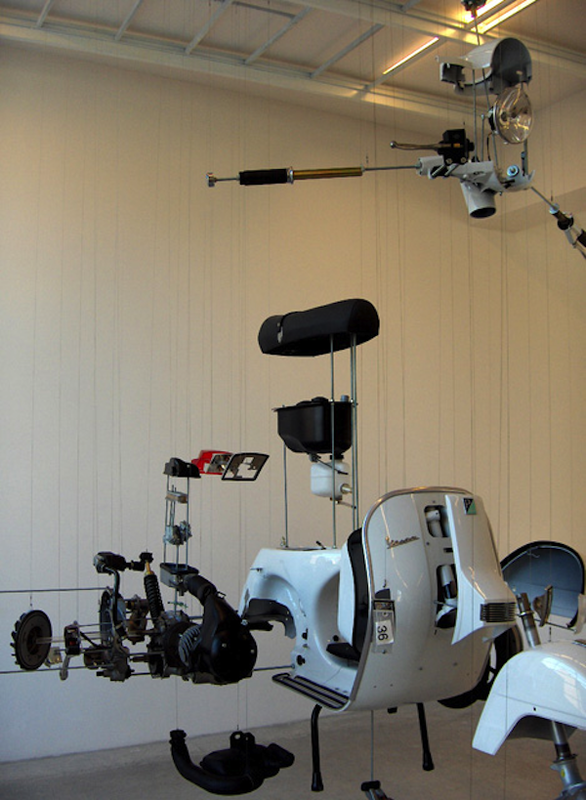 This work is fascinating in a very similar way to Cosmic Thing but with the added element of allowing us to get a more complete picture of the process of constructing and deconstructing the scooter. 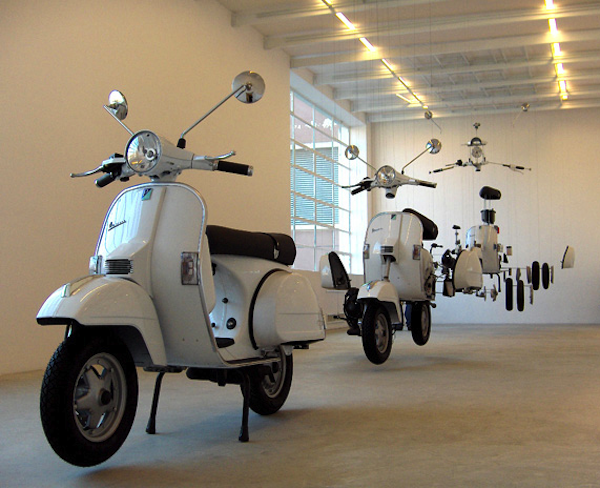 There’s also something that really intrigues me about the way the final – fragmented – scooter seems to become something other than itself when seen from the front but seen in isolation its scooterness is evident once again. 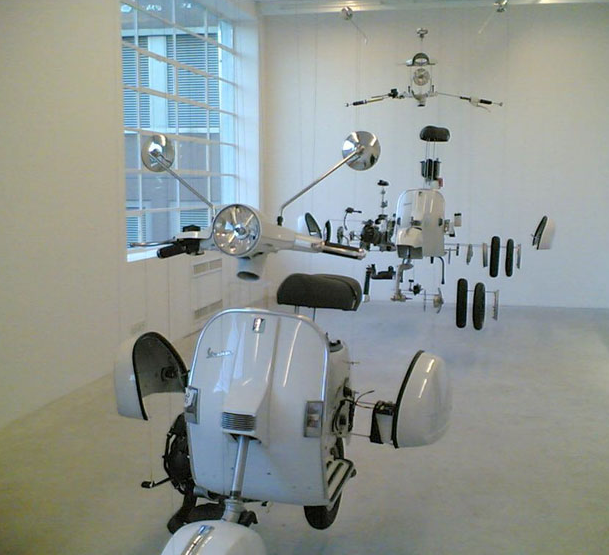 This entry was posted in Assemblage, Installation, Sculpture and tagged art, assemblage, Damian Ortega, installation, Italian Miracle, Miracolo Italiano, readymade, scooter, sculpture, Vespa by Ann Jones. Bookmark the permalink.